The perfect “little bit of luxury” for giving essential breathable bedding with refinement. 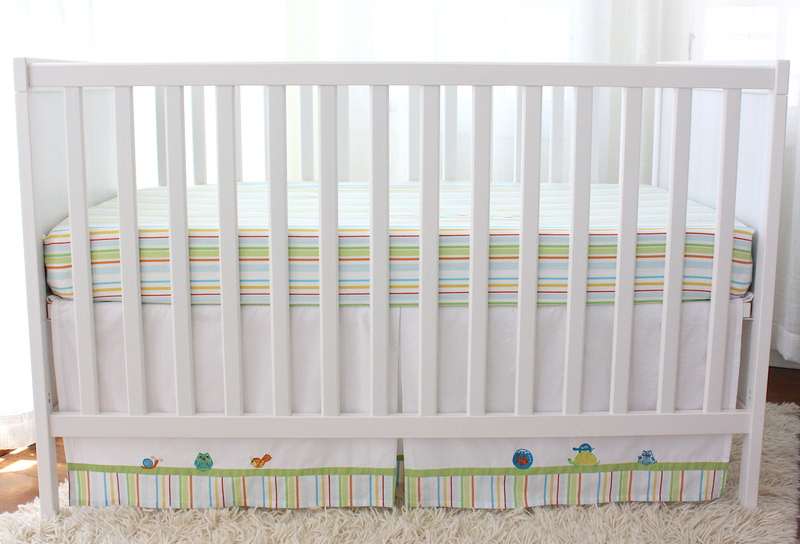 Our fitted sheets are made of 100% natural breathable cotton and constructed in the safest design method. 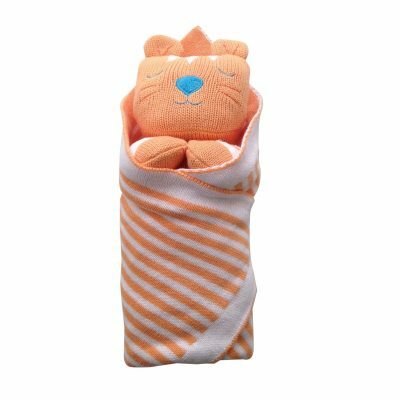 Funny Friends colorful yarn dyed stripe fitted sheet of 100% breathable cotton, 250 thread count sateen. 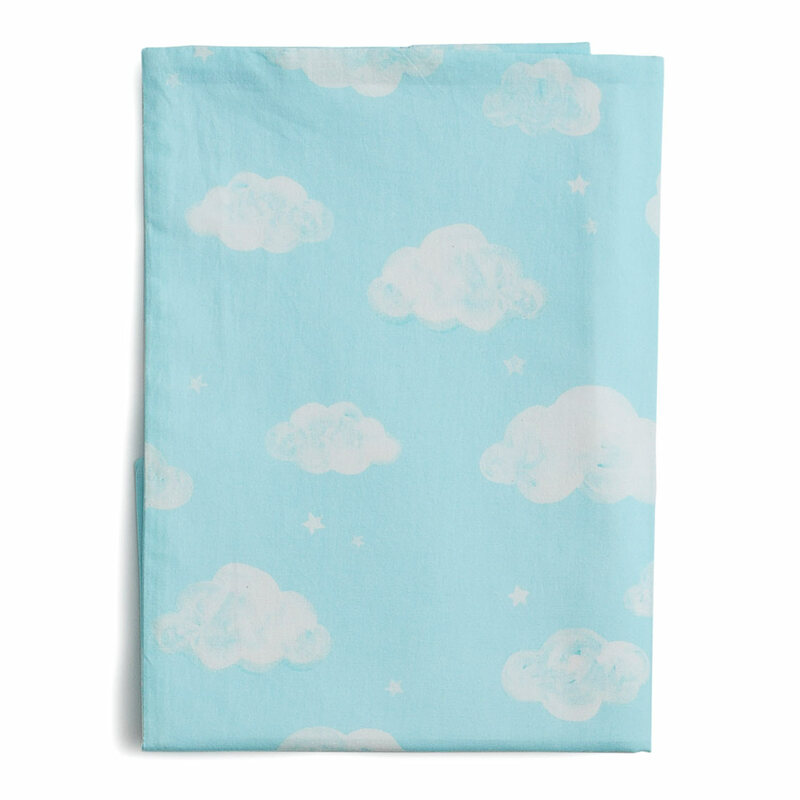 Clouds fitted sheet of Printed Aqua ground on Soft 100% breathable cotton 250 Thread-count percale. The perfect “little bit of luxury” for giving essential breathable bedding with refinement. 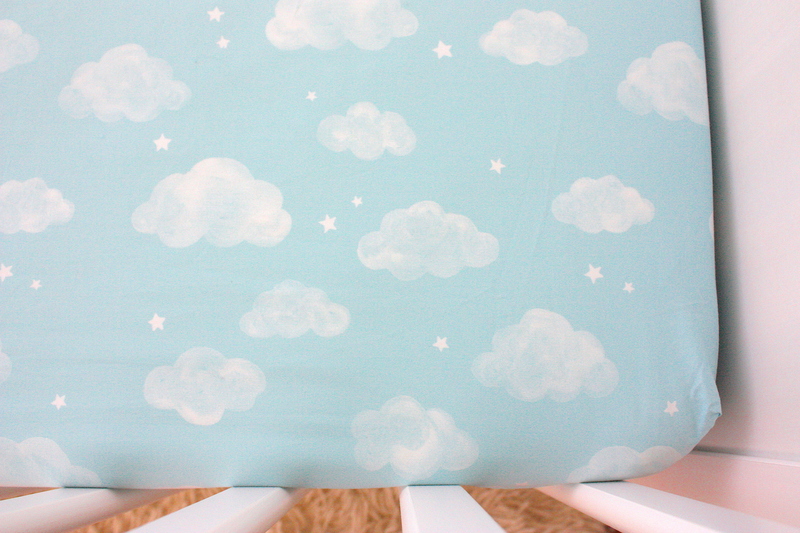 Our fitted sheets are made of 100% natural breathable cotton. 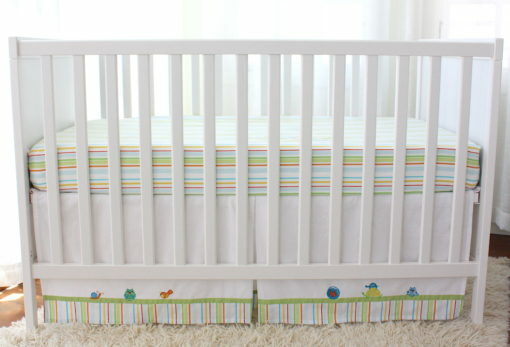 They are perfect for the crib and toddler transitional beds. 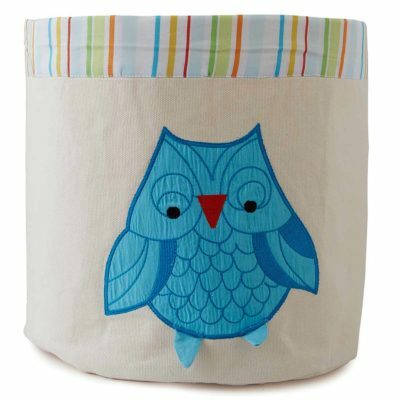 They are designed to be luxurious as well as sturdy and will hold up to countless washings that come with having a baby. 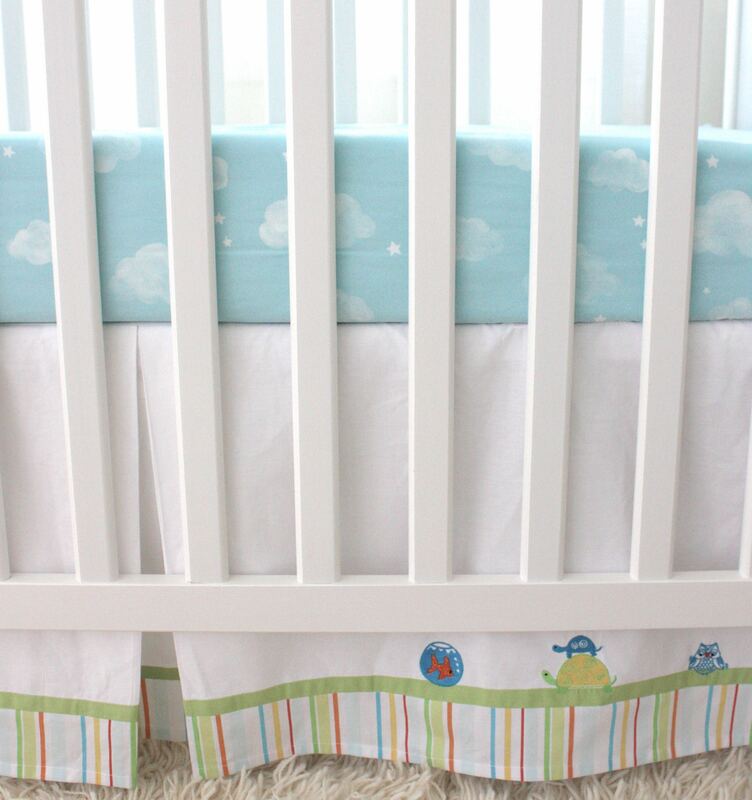 Our award winning sheets are constructed in the safest design method with elastic around the top and bottom of the sheet pocket rather than around the entire pocket edge, a feature proven safer for baby. 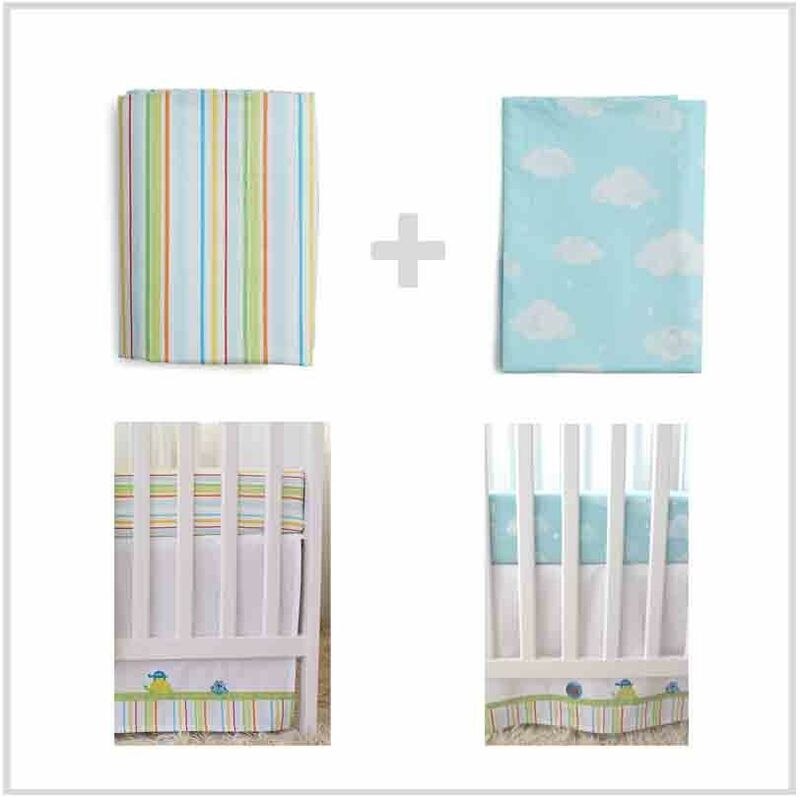 All of our fitted sheets are designed to coordinate with most of The Little Acorn baby & toddler bedding collections, but easily coordinate with any bedding and decor. 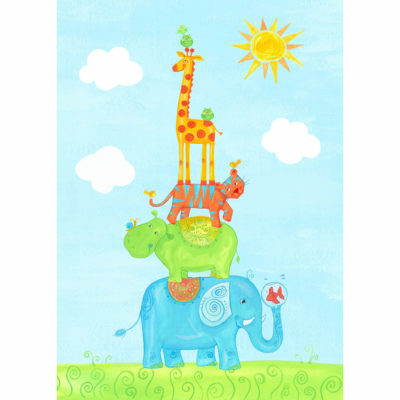 This set matches our Funny Friends bedding, as well as our Alphabet Adventure bedding. Safe Luxury- The Little Acorn-award winning breathable cotton sheets are constructed in the safest design method with elastic around the top and bottom sheet pockets rather than around the entire pocket edge, a feature that makes our sheets safer for baby. The tighter a sheet fits the mattress, the less chance for it to come loose, roll to the top of the mattress and possibly entangle little arms and legs. Our sheets fit tightly because we elasticize only around the pockets, making our sheets safer than a sheet with elastic around all edges, which can easily come loose over the mattress top. This essential feature can educate your customer on the finer points of safe sleep needs for baby. 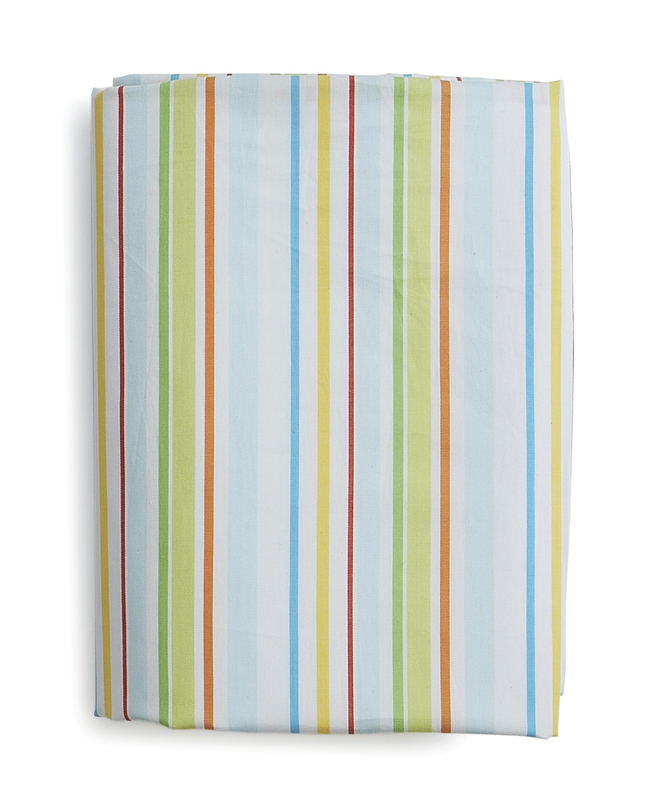 Funny Friends colorful yarn dyed stripe fitted sheet is 100% breathable cotton, 250 thread count sateen, with playful multicolored stripes of orange, yellow, red, green and blue and white in a soft sateen weave. A sateen weave is a lightweight twill weave making it strong but very soft and wears well over time. Yarn Dye stripe means the pattern is woven into the fabric, which is better than a printed stripe because it is softer, and colors will not fade with washings. Clouds fitted sheet of Printed Aqua ground on Soft 100% breathable cotton 250 Thread-count percale. A percale weave is noticeably denser and wears well over time.